The Cabinet on Thursday cleared a policy to make India a software product centre by 2025. In a series of decisions, it approved the second phase of the FAME India scheme to boost electric vehicle for public transport, and an ordinance to allow voluntary use of Aadhaar number as a Know Your Customer (KYC) mechanism. 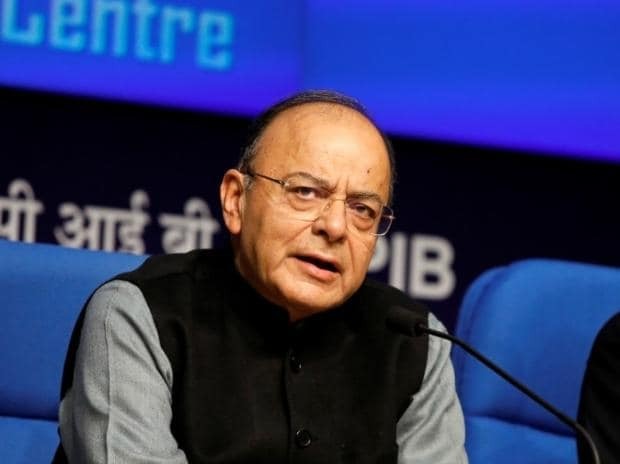 National Policy on Software Products, 2019 The policy lays out a five-year road map seeking creation of 3.5 million jobs and promoting 10,000 startups with an initial budget of Rs 1,500 crore. The policy aims “to encourage innovation, startups and creation of Intellectual Property (IP) by developing greater collaboration between the government, industry, academia and other stakeholders". An initial outlay of Rs 1,500 crore for seven years has been made to implement the programmes planned under the policy. The policy has a five missions — leading a ten-fold increase in India's share of global software market by 2025, nurturing 10,000 technology startups in software product industry, including 1,000 in tier-2 and tier-3 towns, generating direct and indirect employment for 3.5 million people by 2025, creating a talent pool by improving skills of 1 million IT professionals, 100,000 school and college students, and training 10,000 professionals for leadership roles. It also seeks to develop 20 sectoral and strategically located software product development clusters, and include participation from academia, industry and government. 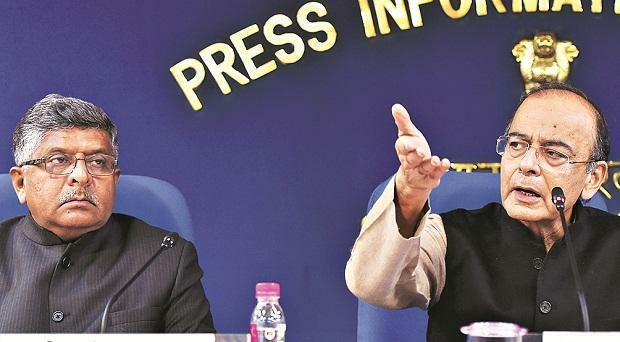 Finance Minister Arun Jaitley (right) and Law Minister Ravi Shankar Prasad during the Cabinet briefing in New Delhi on Thursday Photo: PTI FAME India Scheme The total outlay for the scheme will be Rs 10,000 crore, spanning over three years. “The main objective of the scheme is to encourage faster adoption of electric and hybrid vehicles by way of offering upfront incentive on purchase of electric vehicles and also by way of establishing a necessary charging infrastructure for electric vehicles. The scheme will help address the issue of environmental pollution and fuel security,” Jaitley said. The scheme primarily targets public transport vehicles. “Through the scheme, it plans to support 1 million electric two-wheelers, 500,000 three-wheelers and 55,000 four-wheelers and 7,000 buses,” the government said. It will, however, be applicable only for vehicles fitted with batteries necessary for electric vehicles. Aadhaar The amendments approved are the same as those in the Bill proposed in January, which suggested changes in the Telegraph Act and the Prevention of Money Laundering Act. Under the amendments, an Aadhaar holder can opt for offline verification through QR code and will not require to share his or her actual Aadhaar number. It also gives the Unique identification Authority of India, the agency that administers Aadhaar, the power to give directions as it may consider necessary to any entity in the Aadhaar ecosystem. Soft loans for sugar mills With sugarcane dues spiralling to over Rs 20,000 crore due to falling prices, the Cabinet Committee on Economic Affairs (CCEA) approved a proposal to grant a soft loan of Rs 8,000-10,000 crore to sugar mills that would be paid directly to farmers. The loans will be provided at a subsidised interest rate of 7-10 per cent for one year, for which government will bear an interest subsidy burden of Rs 553-1,054 crore. This loan will be transferred directly into farmers’ bank accounts. Subsequent balance, if any, will then be credited into the mill’s account, an official statement said. The loans will be available to those mills who have cleared at least 25 per cent of their outstanding cane arrears for the 2018-19 sugar season. Air India Subsidiary The four subsidiaries, which have been transferred to the SPV, are Air India Air Transport Services (AIATSL), Airline Allied Services (AASL), Air India Engineering Services Ltd (AIESL) and Hotel Corporation of India (HCI). Also, non-core assets — painting and artefacts, and other non-operational assets of the national carrier too will be transferred to the SPV. National Mineral Policy The policy will give status of industry to mining activity to boost financing for the sector. It will also harmonise taxes, levies and royalty with world benchmarks to help the sector. It will also have the long term import export policy for mineral that will help private sector in better planning and stability in business. The Policy also rationalizes reserved areas given to PSUs which have not been used and to put these areas to auction. This will give more opportunity to private sector for participation. Purchase of RBI equity in NHB by Government For this purpose, Cabinet approves Rs 1,450 crore, to be met from gross budgetary support for 2018-19. The government will buy the entire cent per cent stake of RBI in NHB. The change in ownership from RBI to the government will also segregate RBI's role as banking regulator and as owner of NHB. Construction of four-lane bridge, including approaches over river Brahmaputra between Dhubri on North Bank (Assam) and Phulbari on South Bank in Meghalaya.